very few weeks, just for fun, I go onto Old Fulton New York Post Cards (www.fultonhistory.com), the free historical newspaper website. This website features predominantly New York newspapers, but you can find, on occasion, articles from surrounding states. I have discovered countless articles that have helped me chip away at brick walls and learn details about my family that I probably would never have found in other sources. Fred’s parents were devastated by Fred’s disappearance. (7) Articles appeared in papers around Central New York. I am thankful for this incident because it allowed me to learn more about Fred. Have you explored historic newspapers lately? They are filled with tidbits of information on your ancestors. In addition to Old Fulton NY Post Cards, there are other free historic newspaper websites, such as Chronicling America (http://chroniclingamerica.loc.gov). For more information on historical newspaper sites, see “Digital Historical Newspapers” at http://familysearch.org/learn/wiki/en/Digital_Historical_Newspapers. In addition, your local library may allow you access to ProQuest historical newspapers (http://www.proquest.com/en-US/catalogs/databases/detail/nationalsnews.shtml). I also subscribe to Genealogybank.com, a paid newspaper website. 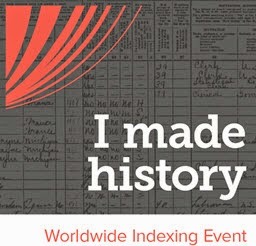 Ancestry.com, Americanancestors.org, Fold3.com and Findmypast.com have newspaper databases as well. There are other paid newspaper websites such as Newspapers.com and Newspaperarchive.com, but I have not yet subscribed to those sites. It is only a matter of time before I check them out. Dover Publications, Inc., Mineola, New York, Electronic Clip Art, Early American Design Motifs, 2003. (1) “Two Missing Youths,” Utica, New York Daily Union, July 9, 1897, digital image 271415, Old Fulton NY Post Cards (www.fultonhistory.com: accessed 2 Nov 2013). 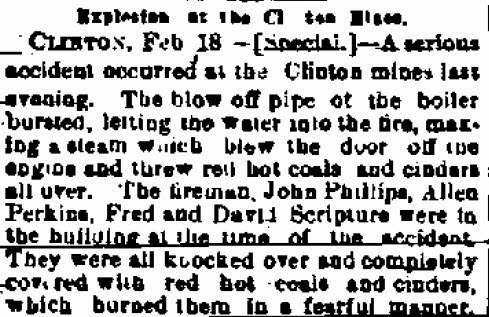 (3) “Explosion at the Clinton Mines,” Utica, New York Weekly Herald, February 19, 1889, digital image 352785, Old Fulton NY Post Cards (www.fultonhistory.com: accessed 2 Nov 2013). (5) “Briefly Told,” Rome, New York Roman Citizen, July 9, 1897, digital image1520350, Old Fulton NY Post Cards (www.fultonhistory.com: accessed 2 Nov. 2013). (7) “In Neighboring Localities,” Watertown, New York Daily Times, July 9, 1897, digital image 493763, Old Fulton NY Post Cards (www.fultonhistory.com: accessed 2 Nov 2013). 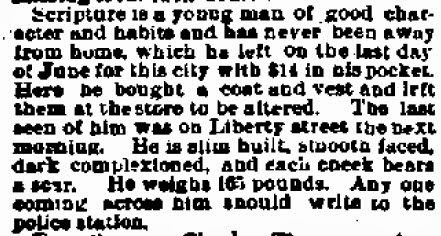 (9) “Not Missing,” Utica, New York Daily Sentinel, [?] 1897, digital image 2400300, Old Fulton NY Post Cards (www.fultonhistory.com: accessed 2 Nov 2013). (11) “Briefly Told,” Rome, New York Roman Citizen, July 13, 1897, digital image 1502174, Old Fulton NY Post Cards (www.fultonhistory.com: accessed 2 Nov 2013). This is the best news article that you have posted, really i never see like in this information that is posting. I got extreme a new idea to you that from i have been more profitable to this content. Thanks mate for sharing this great article.